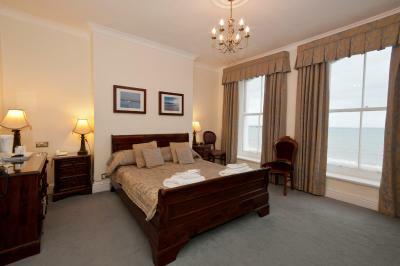 Lock in a great price for Cae Mor – rated 8.6 by recent guests! The staff were all very pleasent and helpful. The food delicious. Hotel very clean. The breakfast room and lounge area downstairs was lovely. The breakfast was small but nice. Loved the room, the view. Very clean. Had all the necessary items in the room! The breakfast was absolutely amazing!!!! Especially the vegetarian sausages! Brilliant overall service!!! Staff were all wonderful. Room was clean, well stocked and warm! Having a lift to bring our luggage up was a big help, as was the on site parking. Plenty of hot water and the water pressure in the shower was fine. The breakfast was very good with a lot of choices, and we appreciated the vegetarian option. Relaxing lounge. Location is perfect and in easy walking distance from the city center. Everything. Hôtel is perfect for a weekend away with friends. Staff and owner always ready to help and assist with all enquiries. No complaints whatsoever. The Hotel, Staff and room could not be faulted. Breakfast was excellent and nothing was too much trouble for the dining room staff. We really enjoyed our stay. Get some draught beer in the bar! Location was great. Room was clean and comfortable. Breakfast was also great and good value. Overall, the room and our experience was excellent. Of the three days spent at CaeMor, all were spent outside the hotel most of the day. Thus, the overnight stay was well worth the price. the room was nicely decorated,the beds were comfortable and the breakfast was good. Cae Mor This rating is a reflection of how the property compares to the industry standard when it comes to price, facilities and services available. It's based on a self-evaluation by the property. Use this rating to help choose your stay! 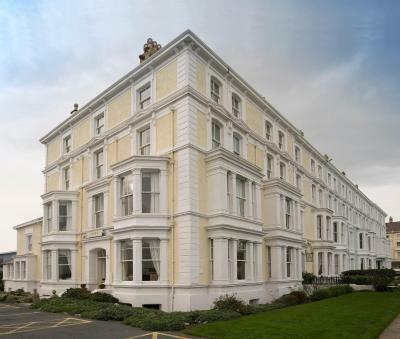 One of our top picks in Llandudno.Commanding a spectacular seafront location a few minutes’ walk from the town center, this hotel is located next to Venue Cymru (North Wales Theater and Conference Center). Following a full but careful renovation, Cae Mor combines a beautiful blend of Victorian period features with tasteful decor and furnishings. Crystal chandeliers, a traditional Victorian fireplace and soft leather sofas create a comfortable place to relax in style. 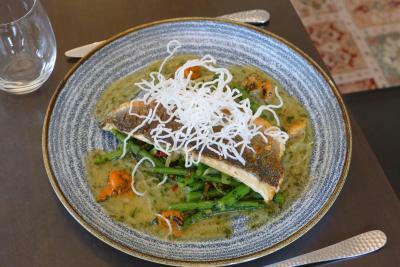 The restaurant has a new Samphire Brasserie & Bar, offering views of Llandudno Bay. When would you like to stay at Cae Mor? Standard rooms are compact but fully equipped. Twin beds or double bed upon request. Deluxe rooms are of a more generous size and have either front or side-facing sea views. 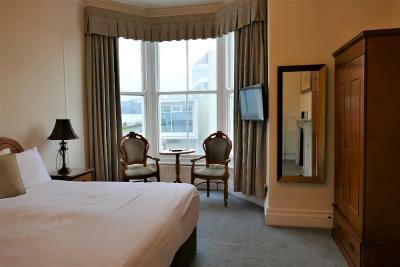 Superior rooms are all located on the front of the hotel, with magnificent panoramic sea views. They all have luxurious private bathrooms. 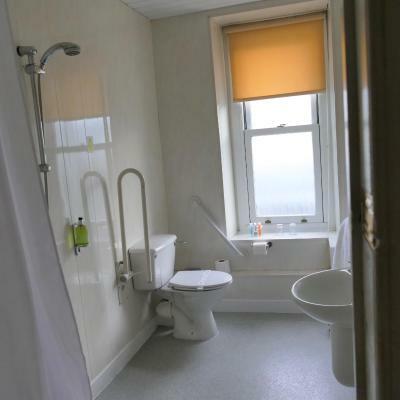 Rear-facing Twin Room with tea/coffee making facilities and en suite shower room. House Rules Cae Mor takes special requests – add in the next step! Cae Mor accepts these cards and reserves the right to temporarily hold an amount prior to arrival. 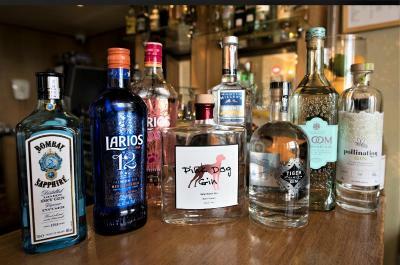 Having moved the bar to the former dining room, it is a little smaller than it was, and we felt that the sofa's took up too room. This is only our opinion and in no way should detract from yet again another enjoyable stay. Good choice of breakfast, well presented, staff very attentive. We were going to the theatre so being next door was an added bonus. The dining area now has sea views, as it has been swapped with the bar, lovely to eat and being able to see the sea and the views along the sea front. Friendly welcoming staff. Excellent meals, two dinners one breakfast. Good seafront location. Private car park immediately adjacent. 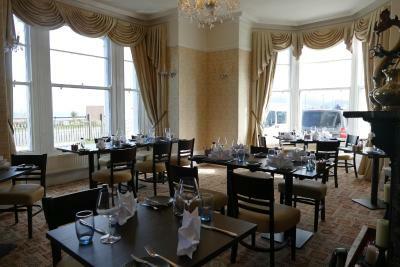 Cae Mor is my go to hotel in and around Llandudno because of its management, staff and location. Attention to detail with meals, and customer care by the staff made for a very pleasant stay. With free onsite parking I shall always use this hotel. I think one problem was the fact we booked via Booking .com, if we had booked direct we would have organised a more suitable stay. Also we mentioned at booking in we would probably not take breakfast as we didn't normally have a cooked breakfast and ideally the buffet would be adequate for our requirement, but at £12.50 each this was a bit steep. I realise there was a reduction offer which we didn't take as we knew we would taking at least one pre arranged evening meal out. 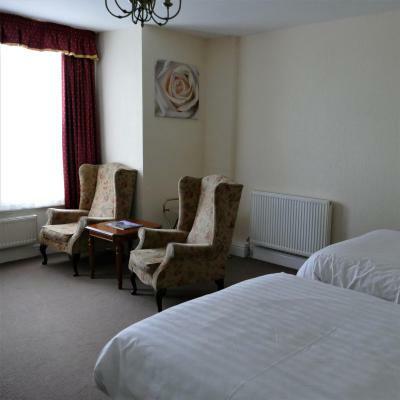 The main dissapointment was the bed room, it's condition was extremely tired, walls had black marks a tea stains arround the bathroom door, the furniture either needed to be renewed or a bit of TLC and the rooms white paint work was dirty and grey, a 24 hr refesh would do it a power of good. I thought it strange that you are trying to present the CaeMor as an up market food venue and then tolerate very substandard bedrooms, but I presume not all bedrooms are too this standard or you wouldn't attract the clientel you currently enjoy. Reception lady brilliant, main entrance area and surrounding rooms had a smart cosy ambiance, car parking was ideal. Bedroom was very small for two people and the en-suite shower room was also very,very small. The location is excellent for anyone visiting the theatre which is next door to the hotel. The hotel has a good sized car park which is a bonus when all the car parking on the promenade is taken up due to a snooker tournament going on at the venue next door. They are doing up this old hotel bit by bit bedroons look worn beds could be a little more comfy BUT this is a work in progress each time we come they have done a little more and it shows! Really friendly staff like being at home food great location great will be back! Lovely room and sea views. Comfortable beds. Lovely room with a sea view. Staff friendly and helpful. Superb meals. In a lovely area on the promenade right next door to the Venu Cymru where we saw a superb show. Loved every minute of our break. The beds and pillows were a little on the hard side. Also their were water header tanks running along the ceiling, these were noisey at night. The staff were lovely, helpful, polite and very smart. The breakfasts were delicious. Excellent being dog friendly, they even got a sausage for their breakfast.